The rainforests of Indonesia once covered 84% of the countries 17,508 islands (CIA World Factbook Statistic), providing a safe haven for thousands of different species. At the turn of the 20th century, 170 million hectares of dense primary rainforest covered the archipelago but in present day, there are less than 98 million hectares remaining. Rivaling Brazil in terms of biodiversity, Indonesia is home to 1,531 species of bird, 515 species of mammal, 270 species of amphibian, 35 species of primate and 38,000 species of plant. 31.1 % of all species in Indonesia are endemic with 9.9% of the total number of species threatened by poaching, logging and agricultural development. The sheer scale of diversity makes Indonesia’s rainforests one of the most important ecosystems in our world today. Logging, conducted both legally and illegally, is accounting for a huge decrease in forest cover, particularly primary forest, across the archipelago. Between 1990 and 2005, more than 28 million hectares of forest were lost, according to Mongabay. Illegal logging currently accounts for 73-88% (UNEP figure) of deforestation in Indonesia and is driven by consumer demand in developed nations. Indigenous populations and small communities are often driven from their homes by multinational corporations that put profit above all else. Over $5 billion USD worth of timber and pulpwood is exported worldwide each year, with most of the profits benefiting logging corporations instead of local people who rely on the forests as a source of food and income. With 700,000- 850,000 hectares being destroyed each year, thousands of different species are becoming increasingly threatened. The Sumatran tiger, a critically endangered species, is just one animal feeling the heat from a loss of habitat and all of the negative effects that come with it. 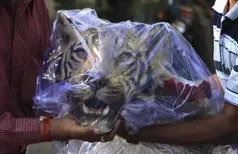 When rainforests are cleared, it becomes increasingly easier for poachers to track and kill tigers, which are considered prized trophies for any hunters. Used in traditional Chinese medicine and as ornaments, each Sumatran tiger can sell for up to $5,000 USD, offering poachers a greater income than they would earn working in paddy fields or on rubber tree plantations. Pangolins are another such species vulnerable to the effects of poaching and a reduction of habitat. 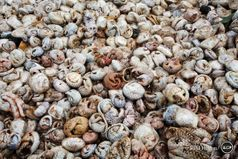 Fuelled by Chinese markets, the illegal pangolin trade has reduced population numbers by nearly half since the early 1990’s. 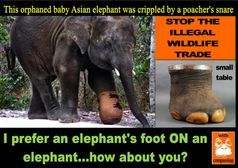 Although prohibited by the Convention on International Trade in Endangered Species (CITES), poachers continue to slaughter these increasingly elusive animals. As with Sumatran tiger poaching, the pangolin trade offers hunters bigger profits that they would earn in most other industries. Poachers can earn $40 per week for catching, on average, 2-3 pangolins. The Pangolin is the most poached animal in the world. Orangutan populations have significantly declined from 230,000 nearly a century ago to 7,500 in Sumatra and 55,000 in Borneo in present day. A significant factor in the decline of orangutan numbers is the fragmentation of their habitat, which makes them vulnerable to wildlife traffickers. Between 1994-2003, 559 orangutans and gibbons were found being sold at wildlife markets across Indonesia. 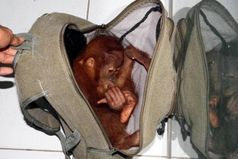 Indonesia’s director general of the Forestry Ministry, Mr Ir Darori blames a lack of human resources and funding for the prevalence of illegal wildlife trafficking in the country. 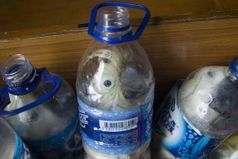 Speaking to Al Jazeera in 2010, Mr Darori said ‘‘The illegal trade in protected wildlife in Indonesia…will not be tolerated’’. While the scale of deforestation, wildlife trafficking and poaching in Indonesia remains an ever-present threat, the Indonesian government along with environmental organisations are taking steps to protect Indonesia’s forests and animals. In 2010, the Indonesian government signed a contract with Norway, worth $1 billion, to place a two-year moratorium on new logging concessions. If Indonesia complies and manages to enforce a ban on logging in certain areas, they will receive the large paycheck from Norway. Coupled with the efforts of Norway are the efforts of organisations worldwide like Greenpeace who are helping to convince corporations using palm oil to source all of their palm oil from sustainable sources. In 2011, the world’s second largest palm oil producer, Golden Agri-Resources Limited (GAR) agreed to source all of it’s palm oil from sustainable sources whilst encouraging other industry leaders to do the same.